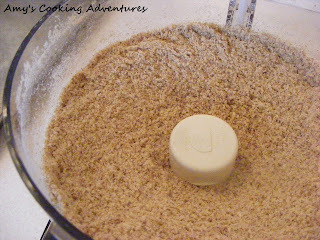 One of the ingredients I occasionally use in recipes (like chicken nuggets or meatballs) is whole wheat bread crumbs. 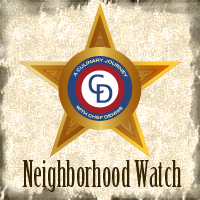 Unless you have a health food store in your town that you frequent, this might be a tricky ingredient to find. I know it is for me. Confession: even though I am an adult, I still can’t bring myself to eat the ends of the bread. I can’t even trick myself into thinking they are hamburger buns. 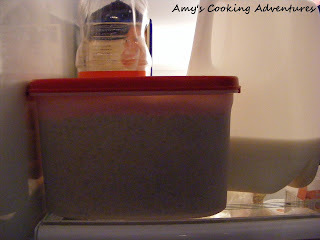 So instead, I take all of the ends of my whole wheat bread (or any slices that are getting dry) and stick it in a ziplock bag in my freezer. After a few months of collecting, by bag is full and it is time to make bread crumbs! 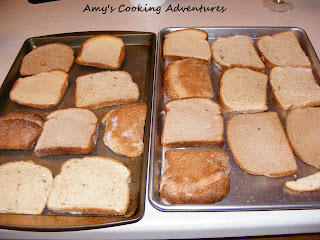 I grab some baking sheets and lay all the frozen bread in a single layer on the baking sheets to thaw. 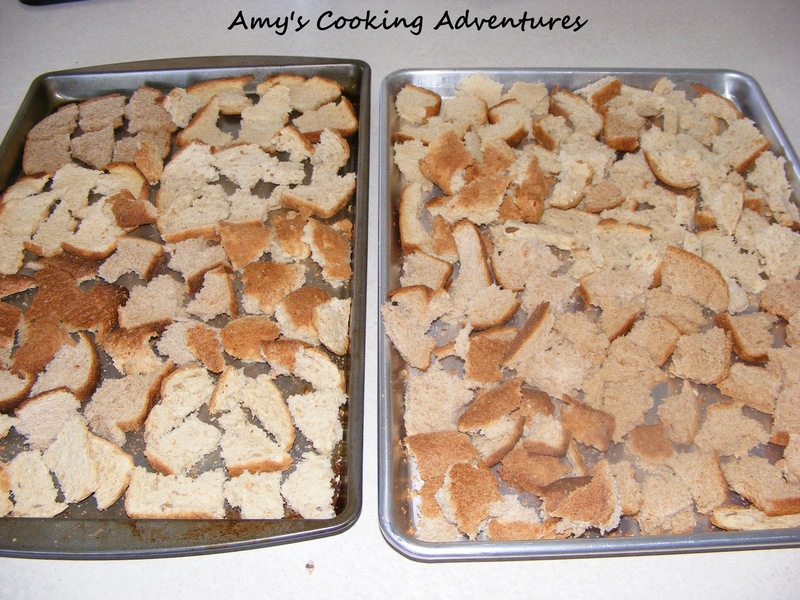 After letting the bread thaw and dry overnight, flip the bread slices and tear them into 1-2 inch pieces. 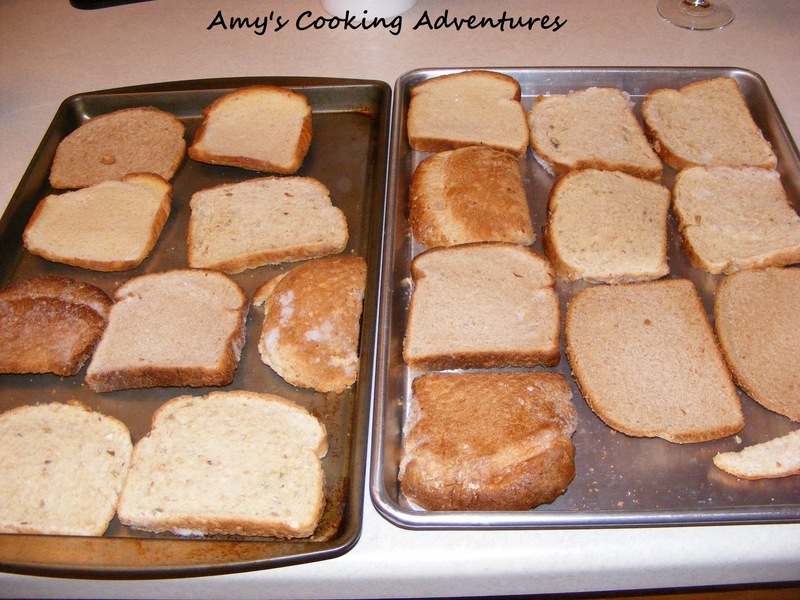 You can see I had a couple different kinds of bread...some whole wheat, some multigrain, etc. 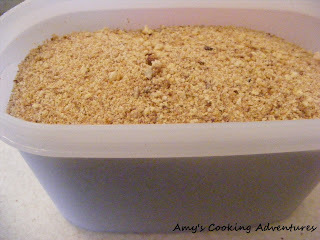 Turn the large bread crumbs every 4-5 hours until completely hard and dry. 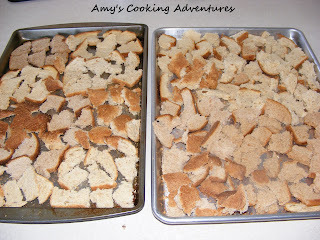 It took about 36 hours for my bread crumbs to dry from the time they left the freezer until I was really to process them. 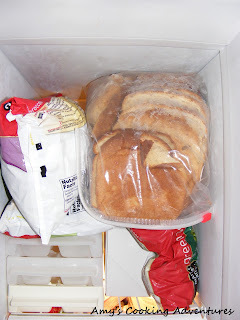 The time will vary depending upon how dry the bread was when it was frozen and if it picked up any ice crystals in the freezer. Once the bread crumbs are completely dry, move them to your food processor and blend to a fine crumb. Move to an airtight container and store in the refrigerator. These will keep for months. Now you have cheap whole wheat bread crumbs! I am the same way with the ends of bread! What a wonderful idea, I am going to try this. Great idea! No one in our house eats the ends either.